Being sent to my first BMW event, I had no expectations whatsoever. You could say I was merely expecting a crowd of car enthusiasts and motor journalists spouting technical car terms while nibbling on finger food and sipping some adult beverage. But boy was I proven wrong the moment they asked if I wanted to sign up for the test drive experience upon registration. Out of curiosity, I said yes. The necessary safety forms were filled and a red band was strapped on my wrist to indicate my participation. 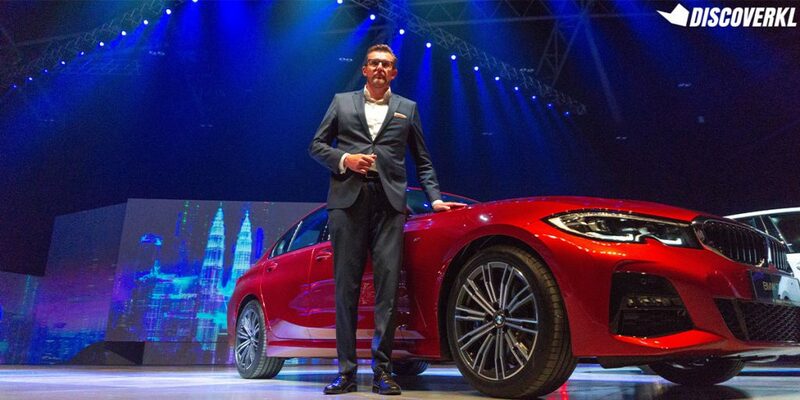 And thus began my eye-opening journey at the recent launch of the BMW 3 Series in MITEC. 1. 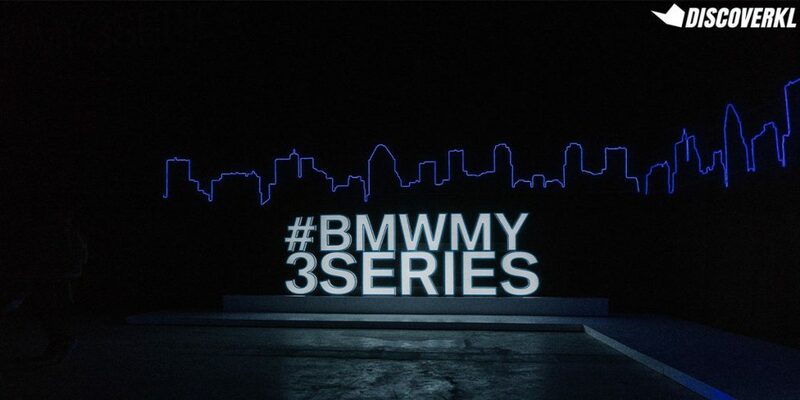 The event started with an informative walk down BMW 3 series’ memory lane. Not knowing what to expect, I entered the event space and my world transformed to a neon-lit environment with chill beats playing in the background. 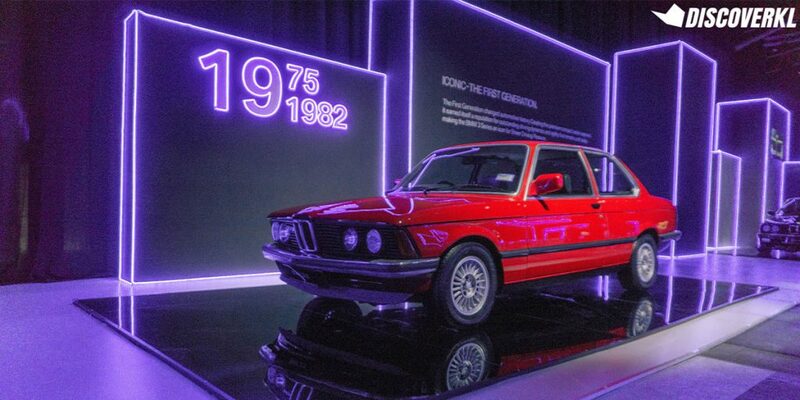 Then lo and behold, there was a glitzy showcase of all 7 generations of the BMW 3 Series, from 1975 to 2018. 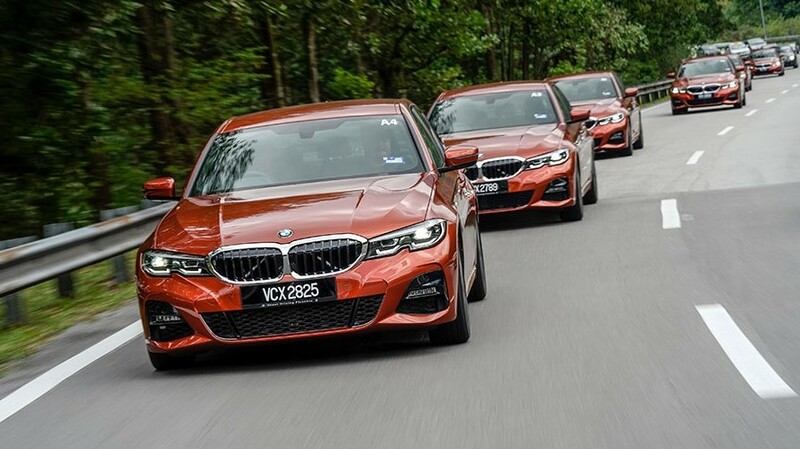 I loved how the progression of the series’ designs gradually morphed from boxy to curvy but the BMW identity still maintains via their distinct grills and headlight designs. With the display of these cars and the great playlist in the background, even the most car-ignorant person would find themselves bobbing their head while admiring these beauties. But this exhibition was only the beginning. 2. Then came what I can only describe as a car concert. Everyone was then ushered through some black curtains that revealed an amphitheater with seats and a spacious stage. 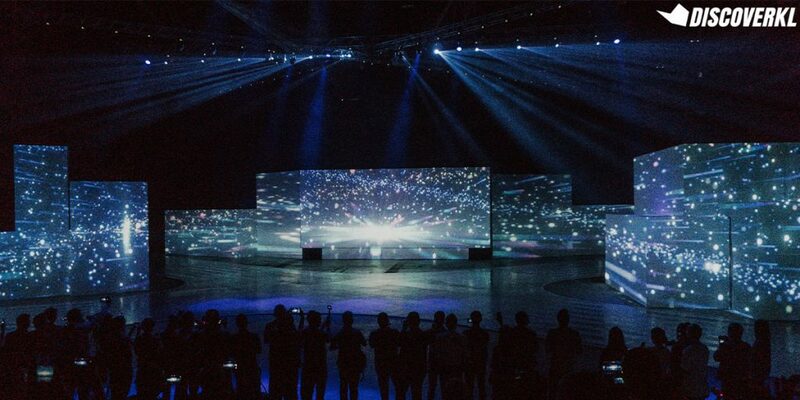 The show began with a visual presentation of the BMW 3 Series, from their legacy to the history and the key designs of the car. 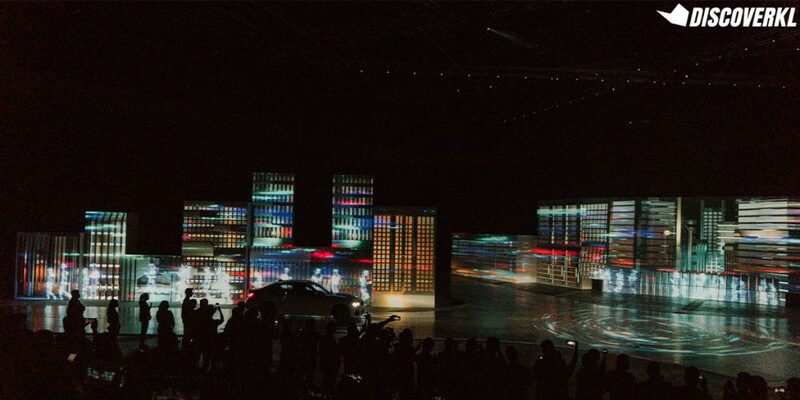 When the new BMW 330i M Sport started making its appearance, driving by a screen of futuristic city aesthetics, this was combined with strobe lights, music and motion graphics. It felt like being in a high-budget, super-idol concert, except the stars were the cars. 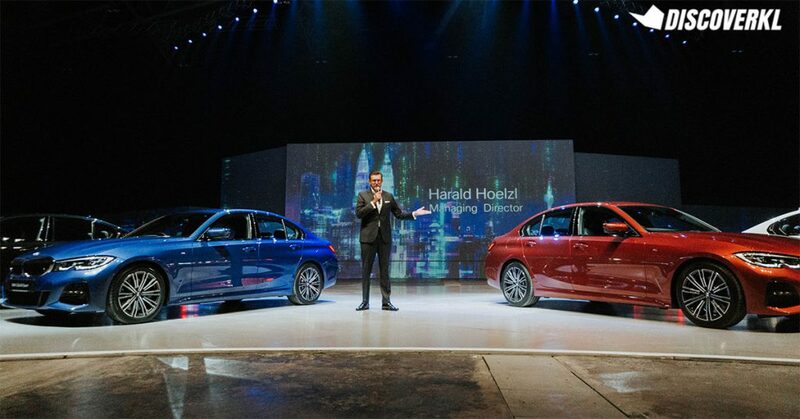 This presentation concluded with BMW Malaysia’s Managing Director & CEO, Harald Hölzl surrounded by 6 BMW 330i Ms, parked at different angles to show off their sleek beauty from all around. 3. 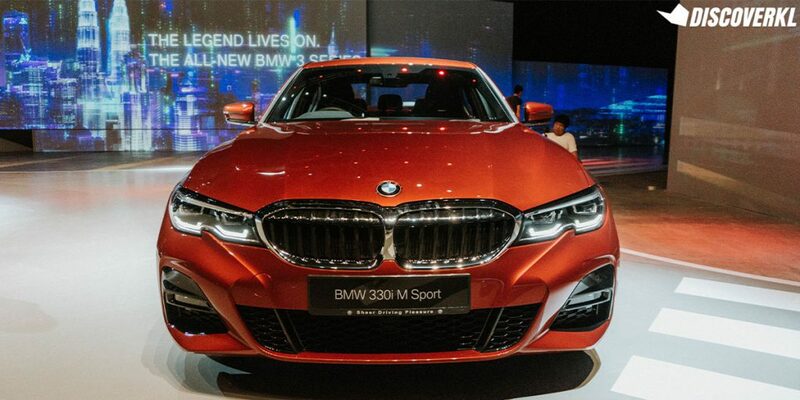 A premium sports sedan pulled up with serious business. 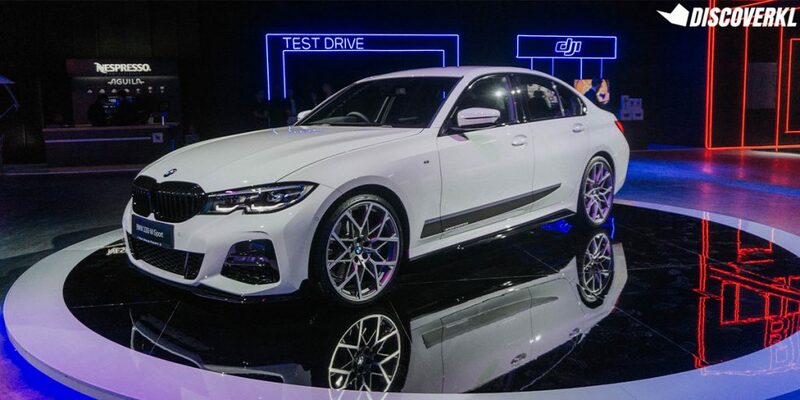 This new sports sedan from BMW features precise lines, beautiful contours and classic elements such as its kidney grille (in layman’s terms it’s the grill between the car’s headlights), headlights and the Hofmeister kink (the top edge of a door). 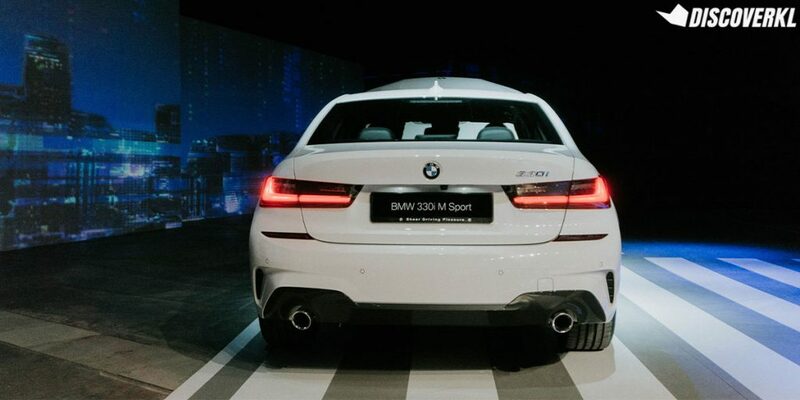 The smoked tail lights, and wider plus larger kidney grill gives it a more aggressive look to make a statement on the road as it zooms past slower cars. Basically, you’d expect someone who works hard and plays even harder to emerge from this car. 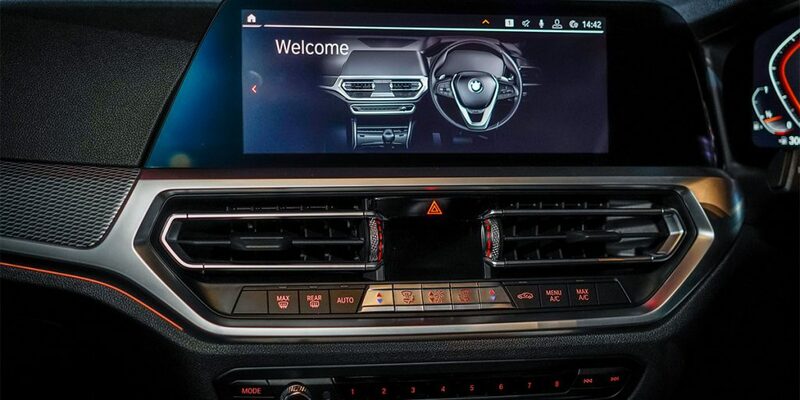 The BMW Intelligent Personal Assistant on-board listens to you, learns your driving habits to adjust the vehicle to suit your needs, explains vehicle functions and even provides status updates on things like the oil levels. And one feature I liked (as a really forgetful person): you don’t have to worry about locking yourself out of the car. 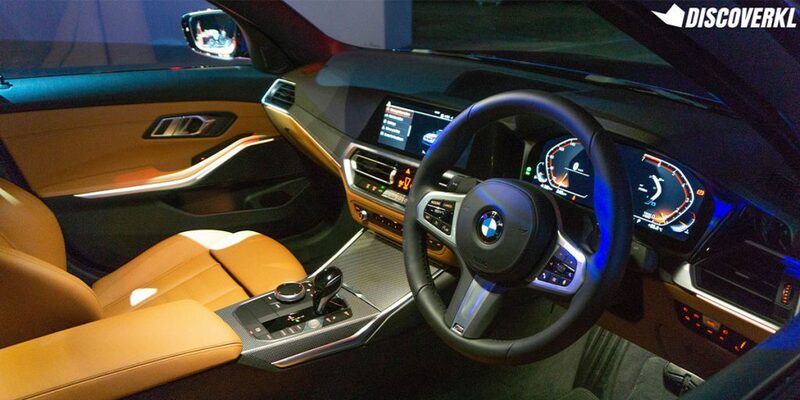 The BMW Digital Key can use NFC technology on a selection of Samsung phones to lock and unlock your car. The engine can then be started by placing the smartphone in the designated charging tray. But now, I’d worry about losing my phone instead. After being teased with all that was being said about this car, I couldn’t wait to get on the road with one. 4. I got my first taste, and I may be addicted. As I approached the line of Portimao Blue bimmers, I took the opportunity, as the first to arrive at the car, to take my place on the driver’s seat. The door closed with a solid muted thud, masking the outside world and its environmental noises, enveloping you into the full embrace of BMW. The seat was contoured just right to provide spine and hip support, making it really comfortable to sit in for long periods of time. My assigned driving-partner joined me shortly after and the dimensions of the car was comfortable enough to have some personal space between the driver and front passenger. 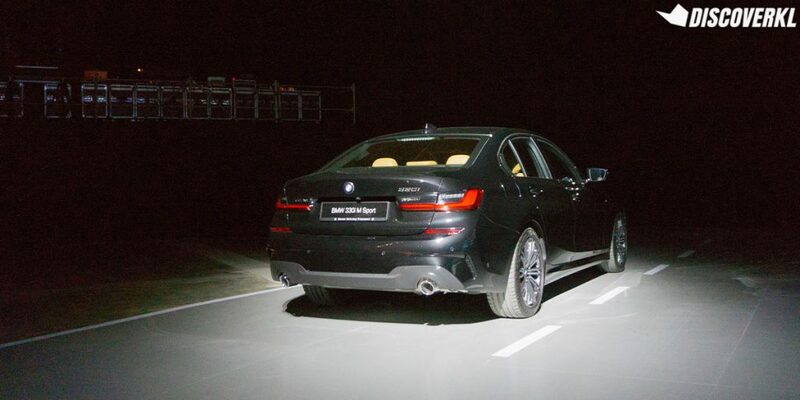 The ignition was smooth and silent, without any unnecessary engine revs despite it being a sports sedan. The test drive fleet was then routed towards Genting with a lead car providing instructions via a walkie-talkie. 5. A smooth drive on the road. Despite being a wide-stanced car, it feels really agile. I was told that its intelligent lightweight construction enabled a weight reduction by 25 kilograms. It’s safe to say that going up winding roads to Genting at 120 km/h were a breeze. It did not feel like I was being flung around the car or that it would lose control at any moment. When the roads got packed with heavier traffic, I switched from “Comfort Mode” to “Eco Mode” and there was a notable difference in the engine. It felt more docile as it made a slower and steady climb up the hill. Upon switching to sports mode, I low-key felt the car come alive which made zipping through traffic a breeze. But all without noisy engine revs. However, Comfort Mode has got to be my favourite. It gave just enough power to the engine for a comfortable speed without lurching forward upon the slightest touch of the accelerator. My driving-partner on the other hand shifted into manual gears. 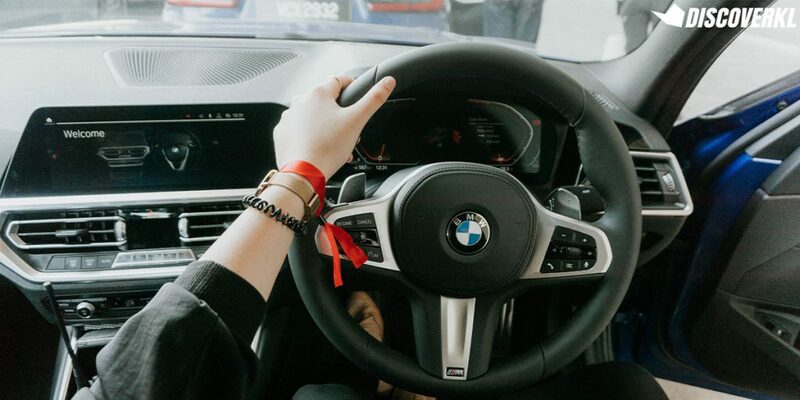 He briefly explained that the full throttle and manual switch from first gear provides an authentic manual car driving experience. Overall, I left the event convinced that this is the ultimate car for Malaysian driving. It’s got the Eco Mode for when you’re stuck in horrible traffic, Sports Mode for when you’re rushing to a meeting and Comfort Mode for daily driving. To get a little more technical, the M Sport suspension is an innovative damping system which neutralises vibrations during cornering and going over speed bumps. Hence it provides a smooth ride for passengers and drivers alike. I also really like how the designs of the buttons and knobs were not too shallow but had a stiffer touch to them for a firm feel during operation. Could see myself getting used to operating them without having to glance at them while driving after a while. 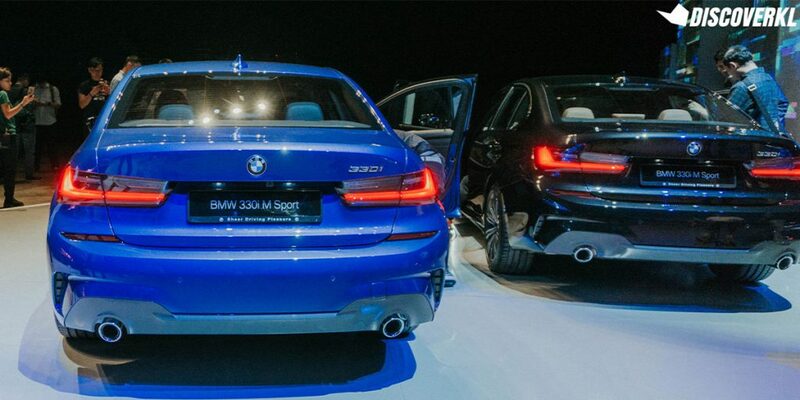 The new BMW 3 series is offered in five colours: Portimao Blue, Black Sapphire, Alpine White, Mineral Grey and Sunset Orange. 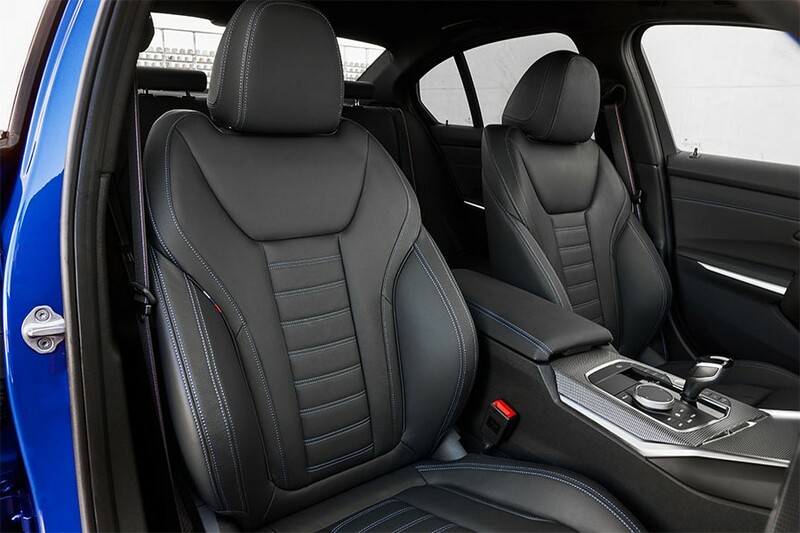 The interiors come in premium Black or Cognac Leather Vernasca upholstery and interior trims finished in Aluminium Tetragon. Bonus: The surprise preview of the BMW Z4! If you feel like you need something zippier and snazzier, the BMW Z4 will be available at all authorized BMW dealerships nationwide from May 2019. Pre-book one of these bad bois here! 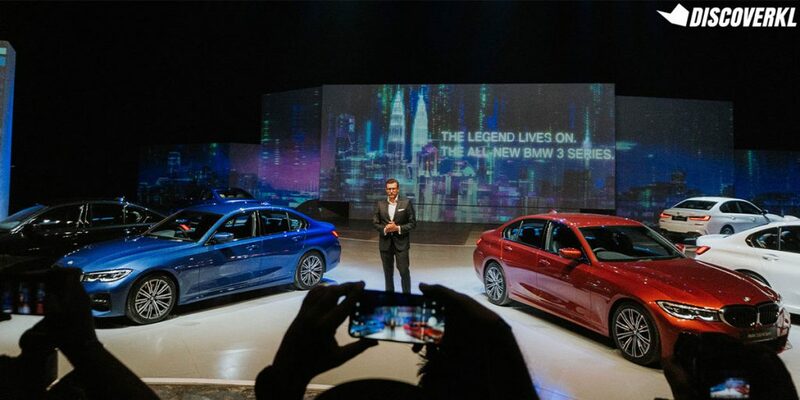 The BMW 330i M Sport and BMW Z4 retail at RM328,800 and RM460,000 respectively. 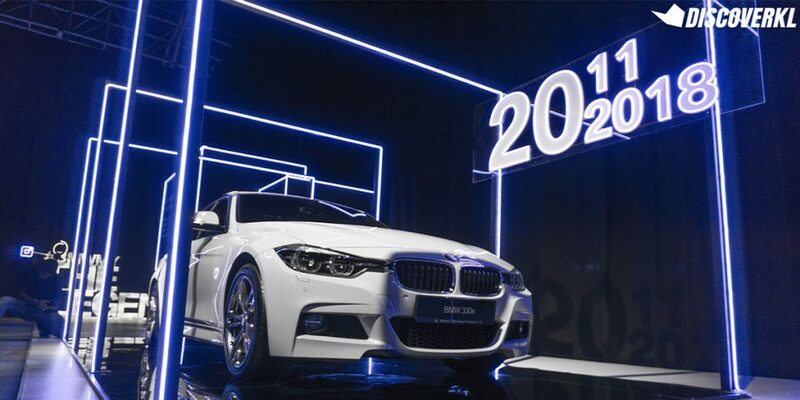 Find out more details on BMW Malaysia’s website.